It’s that time again! 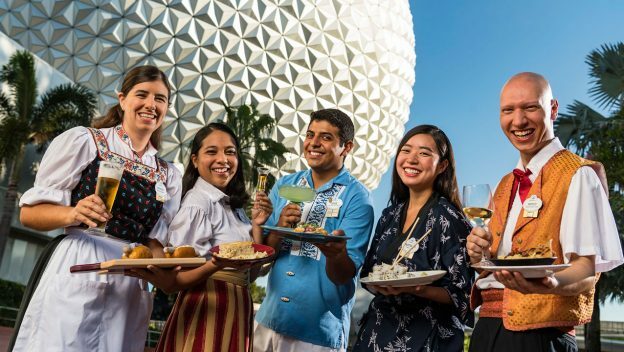 Next week, guests can book their favorite food demonstration, wine tasting, seminar or celebrity chef event at the 2018 Epcot International Food & Wine Festival. Starting Thursday, June 14, favorite festival events including celebrity chef demonstrations, Eat to the Beat dining packages, Party for the Senses grand tasting experiences, beverage and cheese seminars and other fun events go on sale. Sunday Brunch with the Chef: Start your day in the most delicious way at a two-hour event including a brunch buffet and featuring a distinguished culinary television personality. While enjoying a meal inspired by some of our VIP guest’s favorite dishes, attendees will be part of an in-depth question-and-answer session featuring kitchen tips, tricks and insights. Finally, foodies are in for a fabulous pièce de résistance: a sparkling wine toast and an exclusive meet-and-greet photo opportunity with our celebrated gourmet guest. Food & Beverage Pairing: Learn from the pros at these 45-minute sessions, held each Friday to Sunday. Enjoy a collaboration between the featured chef and beverage presenter, pick up a few tips and best of all – taste the demonstrated dish and beverage pairing. We also have confirmed five additional acts for the 2018 Eat to the Beat concert series. Along with previously announced artists, newcomers Canadian country artist High Valley (“She’s With Me”) and pop artist Vertical Horizon (“Everything You Want”) will delight Epcot guests at the America Gardens Theatre along with returning favorites Smash Mouth, Kenny G and Plain White T’s. Family fun activities will abound during the festival, including the return of Remy’s Ratatouille Hide ‘n’ Squeak scavenger hunt, and new offerings like an interactive playground, a character dance party on Friday and Saturday evenings and a new Junior Chef Kitchen program offered every Sunday and designed with kids in mind. 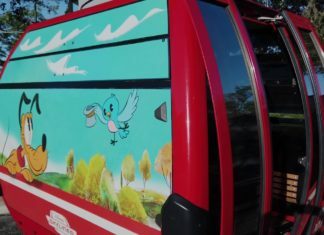 For more information on the Festival, check out TasteEpcot.com or call 407-939-3378. And stay tuned to the Disney Parks Blog for updates on this year’s celebrity chef events, special activities and other fun.